ResMed’s intelligent Volume-Assured Pressure Support (iVAPS) is a unique technology featured in the LumisTM series and the StellarTM series devices. This new therapy mode adjusts to a patient’s respiratory rate, targets alveolar ventilation and automatically adjusts pressure support as needed to accommodate each patient’s unique needs, even as their disease state progresses. Educate patients on the importance of timely equipment replacement and how critical it is to the success of their sleep apnea therapy. 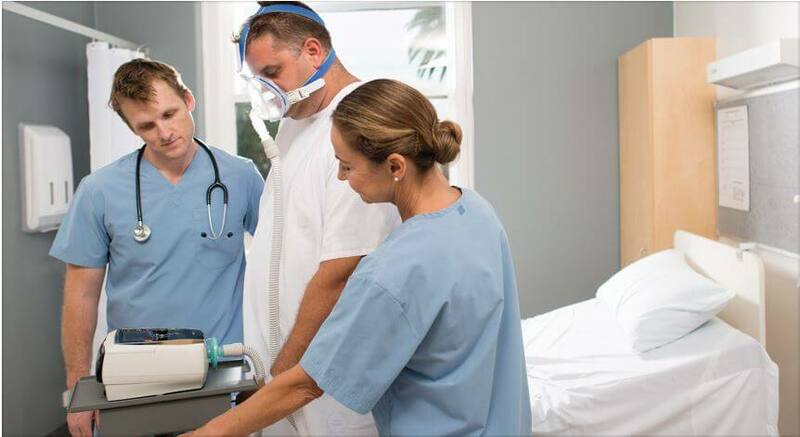 Learn about the positive outcomes for OHS patients being treated with NIV.